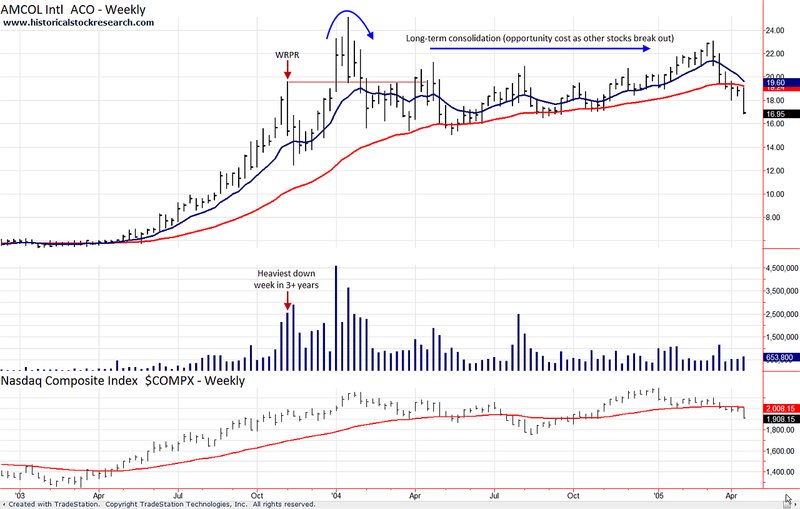 Price reversals are a sign of selling into strength, but when they occur on record volume and/or wide range they can cause a stock to reverse trend. 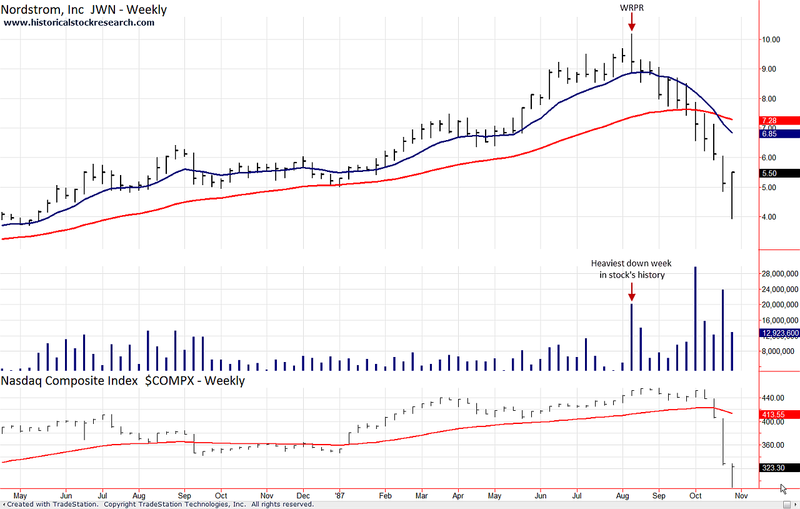 Record volume is a week where trading volume is the heaviest of the uptrend or the highest in a stock's history. 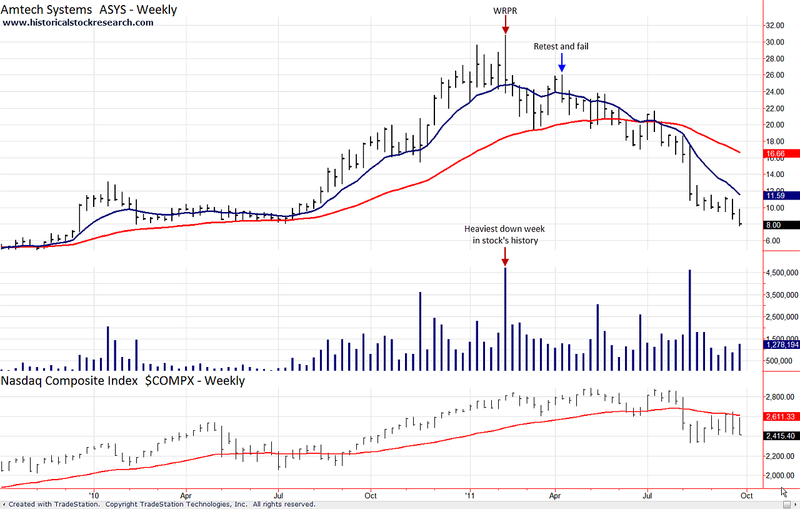 Over the years, Wide Range Price Reversals (WRPR) have signaled tops in many stocks. Price will often fail when it tries to surpass a Wide Range Price Reversal bar. 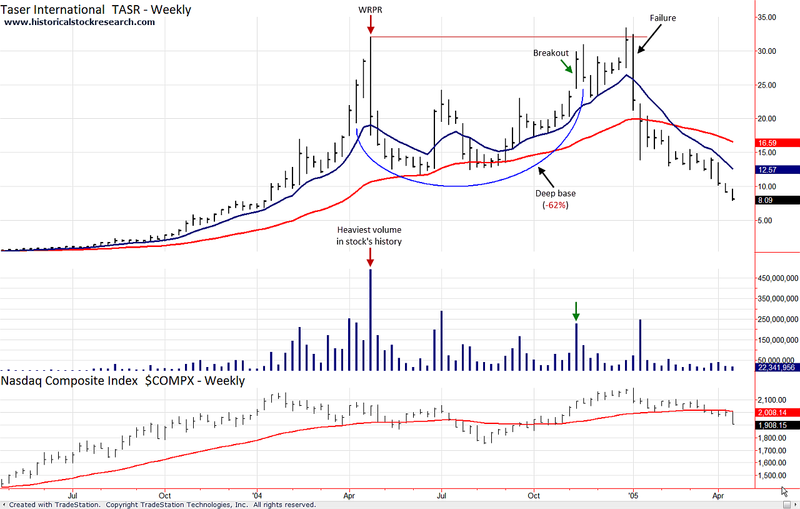 Price forms a base over many months that fails as it attempts to break out above the price reversal bar. 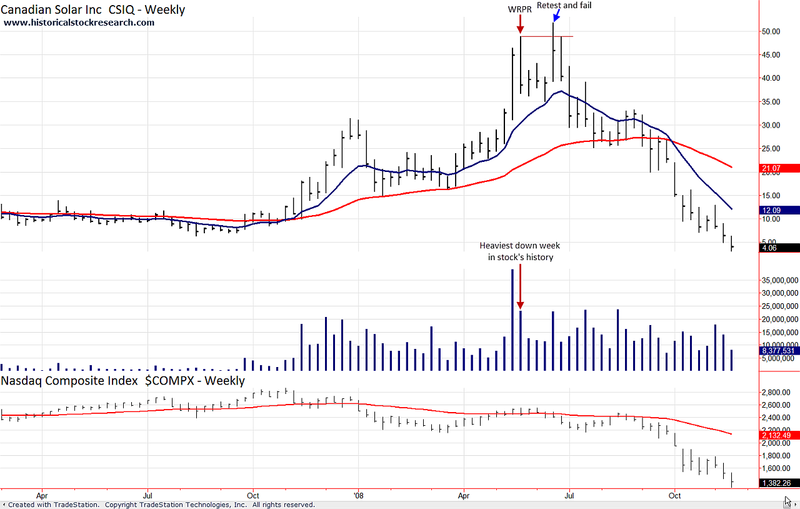 Price breaks out above the price reversal bar and rallies 10-50% before breaking down. Price just exceeds the high of price reversal bar within 1-3 months before moving lower. Price retests the price reversal bar, but can't top its high before moving lower. Price never retests the price reversal bar and moves lower. Note: In all scenarios, after failing to stay above the reversal bar, price may also trade sideways for months/years without completely breaking down. Please >>CLICK HERE<< to go to Price Stall Tops.